Welcome to My Favorite Things April Release Countdown! There's so much cuteness this month, starting with some Too Cute Turtles. and I cut one of them with a smaller circle die to form a frame. beneath them. The final touch was adding the enamel dots and googly eyes. Check out the 3mm one on the bird. It gives them so much personality! and stands nicely for photographic purposes. 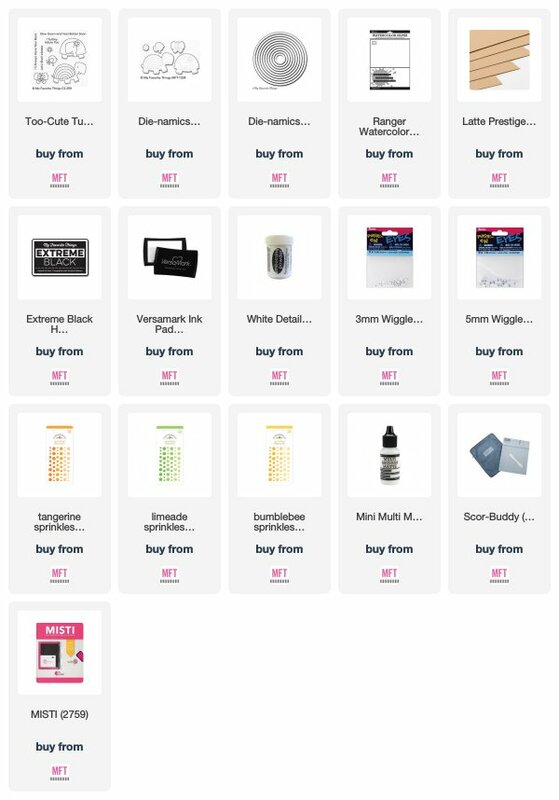 $75 prize. Thanks for stopping by today! Another super cute card as always. Never did see a circle card! With a turtle on it was amazing. Thanks for sharing and have a nice day. 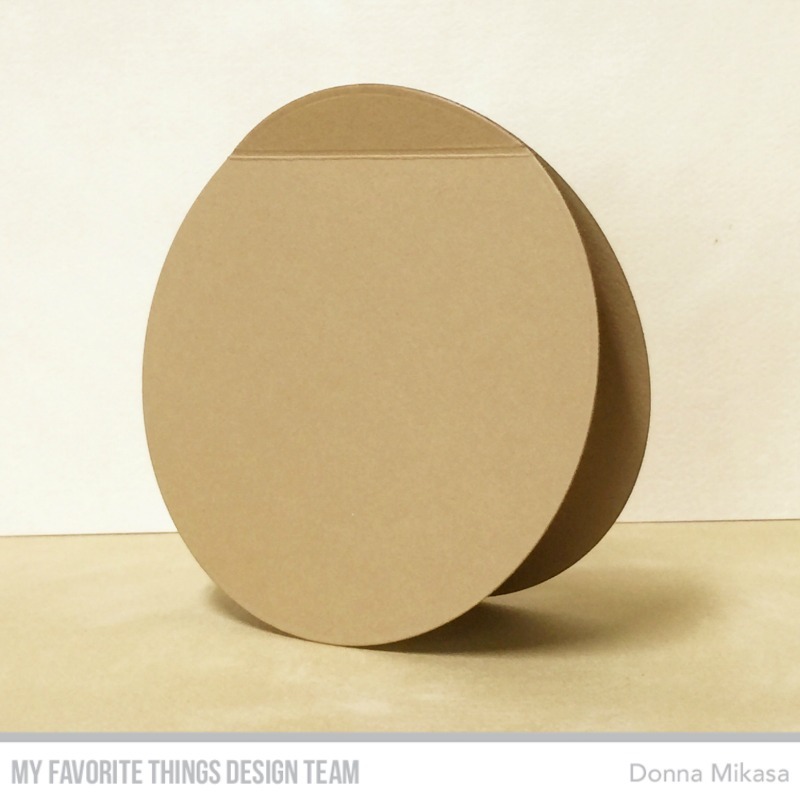 I love your circle card. Great background and adorable images! 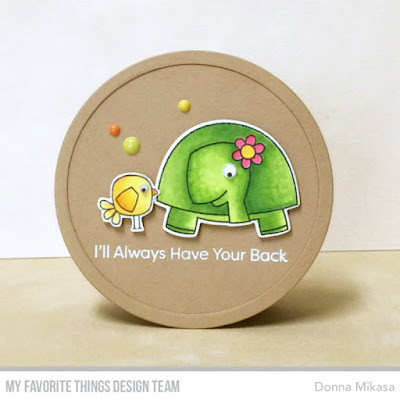 Super cute circle card, perfect for your adorable turtle! I love your card! The sheen on the turtle is gorgeous! Such a cute card. Love all these turtles. Such an adorable card! Love these turtles. Great coloring on the critters! The turtles are so cute, I've not really paid much attention to the bird, but he's adorable as well! 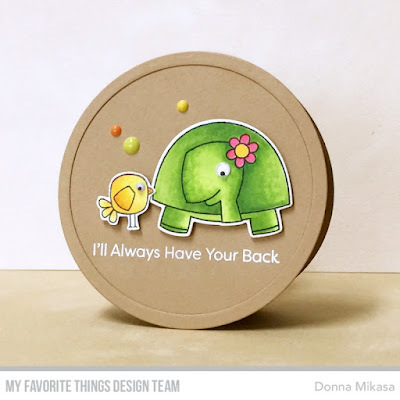 Your turtle is so perfect on this shape card. He is totally handsome along side that cute little bird. Nicely done. Too cute! Have to give shaped cards a try.